Chad Rabinovitz is the only artist in the United States simultaneously serving as the Producing Artistic Director of two theaters devoted to new works: Adirondack Theatre Festival (Glens Falls, NY) & Bloomington Playwrights Project (Bloomington, IN). In addition to producing new works, Chad has directed more than 100 productions across the country, focusing primarily on new and contemporary plays and musicals. He is also currently the Producer of the Adirondack Film Festival as well a visual arts festival, Arts Fair on the Square. At ATF, Chad has grown attendance from 5,700 to over 14,000 in just 4 seasons, doubled subscribership, broke numerous box office records, introduced innovative children’s programming, and produced multiple best-selling shows in ATF’s history. Under Rabinovitz’s tenure, the Bloomington Playwrights Project has undergone what Bloom Magazine calls “a near miraculous renaissance”, quintupling its subscribership, erasing all debt, and purchasing its building. BPP has sold out every single performance of every production for 4 straight years. Specializing in developing new works, Rabinovitz has fostered and directed premieres from countless prominent playwrights. 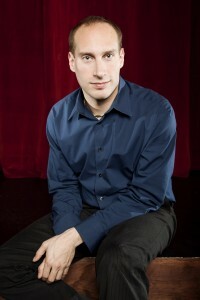 He is also known for his unique ability to work with magicians on developing and directing their acts. For his achievements, Rabinovitz was the recipient of Bloomington’s Manager of the Year Award, the Downtown Revitalization Award, Bloomington’s Attraction of the Year Award, and was honored with being on the cover of Bloom Magazine where he’s referred to as “a visionary artistic director, savvy businessman, and inspirational leader.” He was named one of the 100 Reasons to Love Bloomington and was awarded Bloomington’s 10 Under 40 award as well as Glens Falls’ 20 Under 40 award in the same month. Chad is a proud graduate of Advanced Space Camp. Jess joined the ATF staff as Managing Director in December 2017. She moved from Bloomington, Indiana where she worked as the Managing Director of Bloomington Playwrights Project for six years, the only professional theatre in Indiana dedicated to solely new works. Jess holds an MA in Arts Administration from Indiana University’s School of Public and Environmental Affairs and a BA in Art History from Indiana University’s School of Fine Arts. She has several years of Nonprofit Arts Management experience. 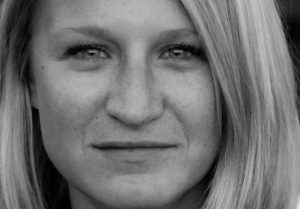 She served as the Director of Administration for Middle Coast Film Festival, as well as the Event Director of Adirondack Film Festival. She also served on the Board of Directors of several Bloomington-based organizations, including the Lotus Education and Arts Foundation, Downtown Bloomington, Inc. and Humanetrix, Inc. In 2011, she was named one of the 10 Under 40 by the Bloomington Chamber of Commerce.